The way we arrange furniture in the room is a key mark of how what and how we value our comfort and the comfort of our guests. 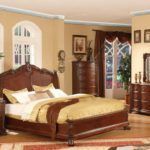 Living room is a common place of gathering in all households, that’s why furniture placement here is particularly critical. 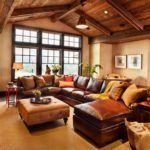 In this article you will find several options of the most effective layouts and furniture combinations you may realize in your living room. 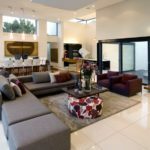 Combination of two best contemporary sofas in the room with unique architecture, with many corners and non right angles will have a fantastic look. Large living room may be brought down into a smaller sitting area with the help of two identical sofas. It is important to place them at right angles. Fireplace at 45 degrees angle to the set will make the area feel more inviting and warm. Add here a sofa table and couple of ottomans or small modern chairs, which will make an extra seating when needed. 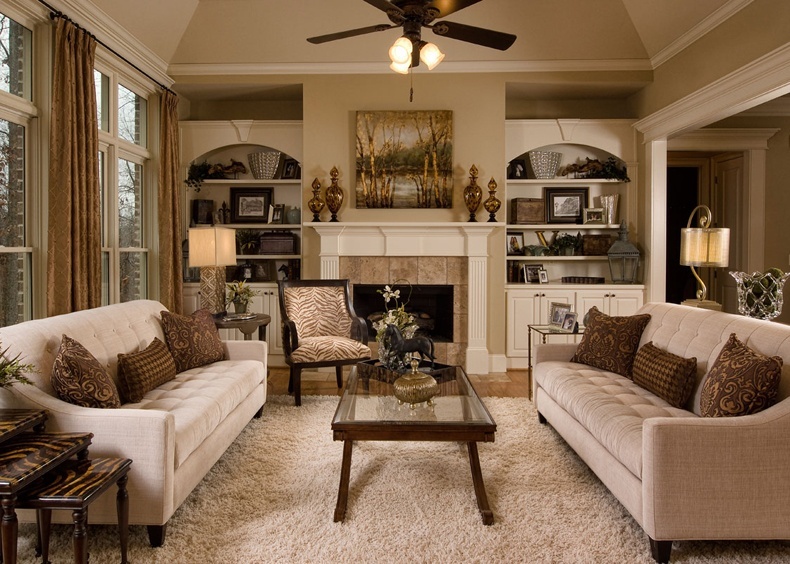 Thus, large living room becomes cozy and has a welcoming look. 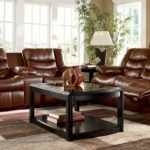 In a room with unused fireplace, it is appropriate to place a couch sofa set or a sofa with compact club chairs. The sofa should directly face the fireplace as the architectural focal point. At the same time chairs must visually enclose the conversation area and facing the window. This is an ideal arrangement in the room with window and fireplace views. Thus, whenever you sit, you will have equally pleasant and lovely view. Neutral loveseat in combination with couple of club chairs is a nice option for spaces with bay window. 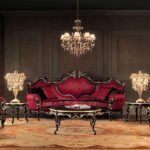 In some occasions, curved gray sofa is not an option because it may cut off the physical pathway as well as all visual lines the bay window features. For better result, chairs must have the same cover as the loveseat has. Place one opposite to chairs so the conversational area is maximized. Combination of the sofa and one chair often has size imbalance, but in smaller spaces it is often the only way out. Such pairing will have a lovely and natural look if done correctly. Sometimes it is important to stick to the simple and classic arrangements with many different details. Try to diversify such interiors with unique coffee table making it a focal point of the room. 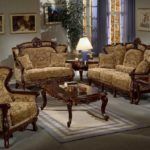 Four chairs placed in each of four room’s corners with a round coffee table in the center is the perfect way to amaze your visitors. This look is pretty unusual, but at the same time unique and definitely memorable.